Walks with my children often become treasure hunts. A simple ramble through the neighborhood, or a tromp into the woods has us looking for treasures. Keen eyes and imagination lead to discoveries. On each walk we look to find one little jewel that the rest of the world has passed by: a colored stone, the tendril of a vine; a bit of moss, the cap of an acorn. A rusted hex nut. You never know what piece of detritus the heart will claim as its own. Out of these wanderings Pedestals for Art of the Found World were born. I conceived of them as stage sets to honor the treasures we bring home. 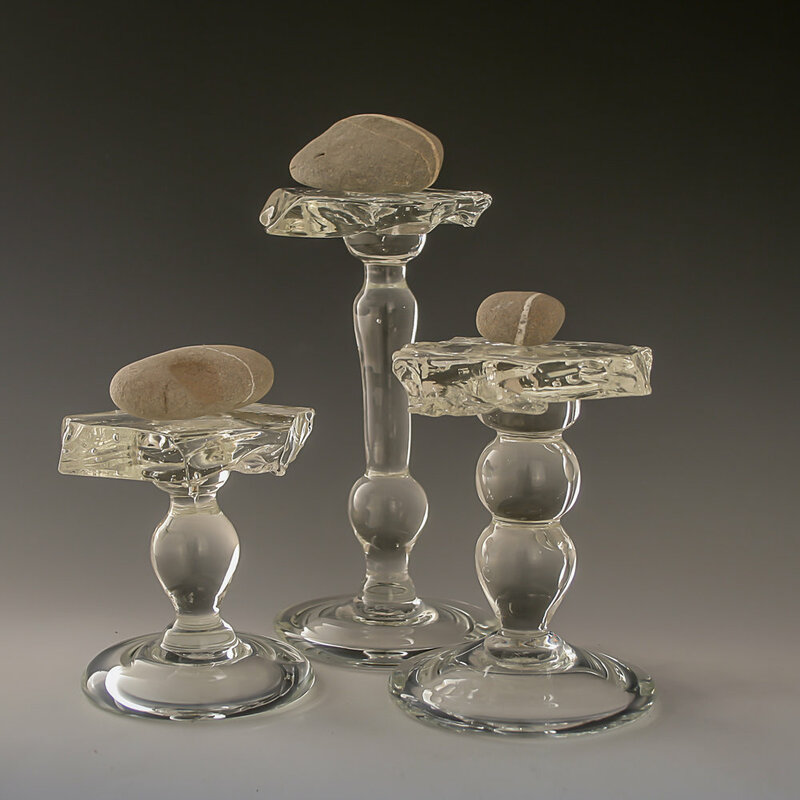 The pedestals are deceptively simple, based on the conventions of foot and stem in goblets but topped with different sorts of holders. They are made to preserve the little foundlings upon which the world might turn.